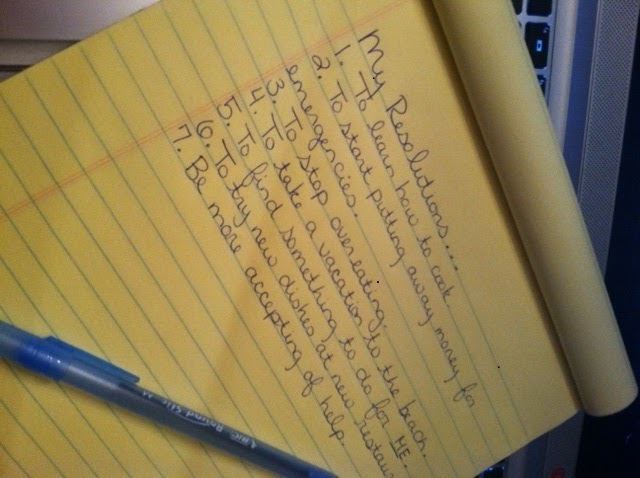 As the year comes to an end, I’m reminded of the age old tradition of setting resolutions. Have you made one? Some of the most popular examples are losing weight, quitting smoking, joining a gym, saving more money, etc. A lot of the goals were simple or even silly things: taking the girls to go strawberry picking for the first time, touring new parts of our city, visiting family close by more often, etc. Then there were big “resolution” type goals like saving up an emergency fund, paying off debt, and remodeling things in the home. So why can’t we make resolutions mid-year? Why do we wait for the New Year? It’s easy to use this “fresh start,” especially when making a major change and while I think it’s a noble idea to make a resolution, it really only matters if you truly stick with it. A common belief is that it takes 21 days to build or break a habit. Research now proves that this concept was developed by self-help style therapies for simple, repetitive tasks. Major lifestyle changes will take more than three weeks to make common for you. So before you jump on the New Year’s Resolution bandwagon, think about the change you are really going to make. Make sure you have all the necessary support, materials, time, energy, dedication, motivation, etc. If you aren’t ready on January 1st, do not pressure yourself. Take the fresh New Year, to wrap your mind around your wishes and resolve to change on February 1st or March 1st or even April 13th if that suits you better. As soon as you are committed to your change, do it! Over the next year, I’m going to blog about some major changes I’ve been making and more to come using Day Zero Project’s 7 Things x 2013 and I’ll bring you along for my journey. Expect honesty (because when you make a big change, some lapses are expected) and tips and tricks. Are you making a resolution? What kind of things are you trying to change? I’d love to hear about them so we can go on this journey together!